The one that started it all! This is *the* scarf that started betsydeville.com! 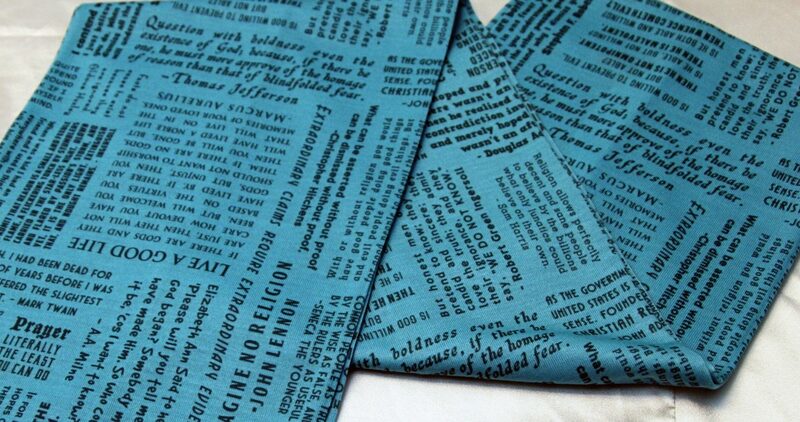 Custom designed and printed fabric featuring quotes from all of your favorite freethinkers and some you may not have known were freethinkers, like John Adams, Thomas Jefferson, Marie Curie, and Susan B. Anthony!